Since a teenager I have been experiencing acne breakouts. When I went vegan a few years ago my acne reduced, but it didn't stop. Ever since I get a few pimples here and there, and especially during that time of the month. 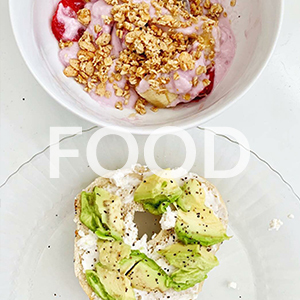 I try to eat healthy as much as I can to help my skin, but it also depends on the products I use. I try to use natural makeup products, and also incorporate a skin care system that will also help. This is why I was interested in BioClarity which is a natural skin care line. BioClarity promises clear skin in a natural way to give you confidence. They believe in a natural and effective solution without all those harsh chemicals like traditional acne treatments. BioClarity is 100% cruelty-free, vegan, paraben-free, and gluten-free. This 3 step system is also suitable for all skin types. Doesn't matter if you have normal, dry, oily, combination, or sensitive skin. 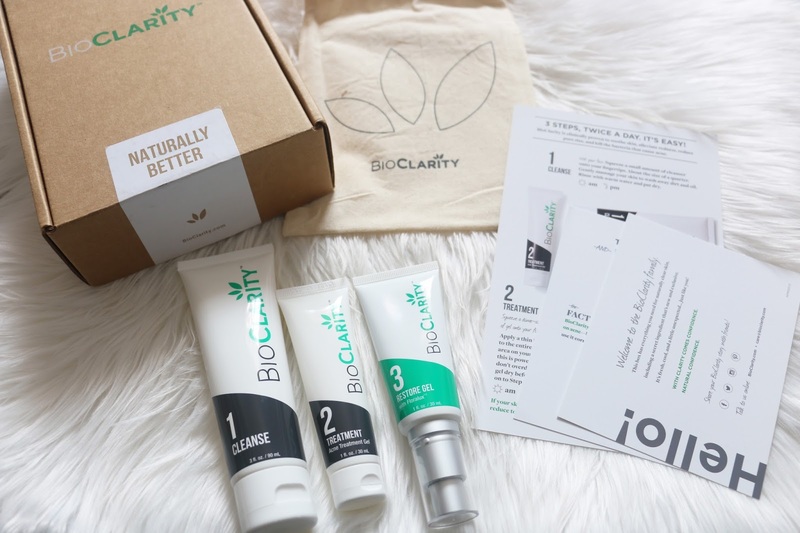 BioClarity 3 step system will arrive within a few days with everything you need for clear skin. It comes neatly packaged, with their logo on the box, and a white sticker with their website address and the phrase 'Naturally Better'. Inside the box you will find a cute baggie to store away your 3 step system, some helpful guides, along with your three skin care bottles. BioClarity is $29.95/month with free shipping. BioClarity has also been kind enough to offer 50% off to my followers using the discount code ROSALYN. To start using this 3 step system it is recommended you get rid of other acne products. The BioClarity routine works best when used as a complete system. As a daily routine the BioClarity system should be used morning and night. But if you experience dryness reduce step 2. For best results it's important to use all three steps every day, twice a day for a minimum of 4 weeks. Results should be visible after two weeks of use! What it promises: The first step is the cleanse, and it has a transparent texture. It washes away dirt, oil, and environmental pollutants that contribute to blemishes and breakouts. My first impression: I like that it lathers really well, and a small amount goes a long way. I like the clean sensation I feel afterward. A clean, and soothing feeling on my face. My skin reaction: My skin loves it! My experience has been positive, and I really feel my skin clean after each use. What it promises: This is the acne treatment gel, and the product color is white. Penetrates pores and kills bacteria that cause acne. It utilizes powerful antioxidants and skin moisturizers. Continued usage will help to prevent new acne blemishes from forming. My first impression: It has no scent to it, and the consistency is light. It dries up quickly, and leaves no residue sensation. Can act as a good base before makeup application. My skin reaction: I try not to overuse it because it can dry skin since it's powerful. I haven't experienced too much dryness, and I think it's due to the fact that most of the days I apply it just once. What it promises: The restore gel is made with Floralux, which is the magic ingredient. Floralux is naturally derived from chlorophyl, and chlorophyll is closely related to the green pigments of algae and plants. This is what gives it that rich green color. Helps to educe the appearance of redness, the size of facial pores, and to soothe skin. My first impression: It's true, the first time I used it I felt the fresh, cool sensation on my face. The bottle has a pump with a cap, and the texture of product is like watery lotion. I love the green color, and dries up quickly leaving no residue. My skin reaction: My skin has reacted really well. I like that it dries up my pimples in an effective way. 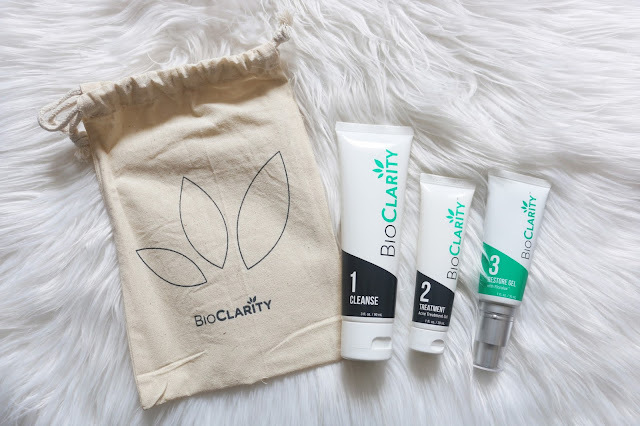 I love that BioClarity uses naturally derived ingredient, and I have seen a significan reduction of acne. I also like that my skin looks healthier, and I have less oil. I highly recommend this to anyone looking for a natural alternative, you won't be disappointed. BioClarity has a great team of customer support.. If you need personalized tips and answers to your questions they are always there for you. BioClarity has also been kind enough to offer 50% off to my followers using the discount code ROSALYN. I had not heard of BioClarity before reading your post. 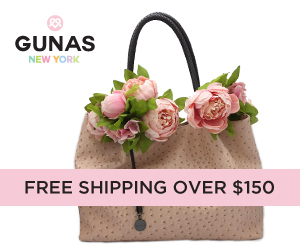 It sound like they have some really useful products and I loved reading your thoughts. Cheers! 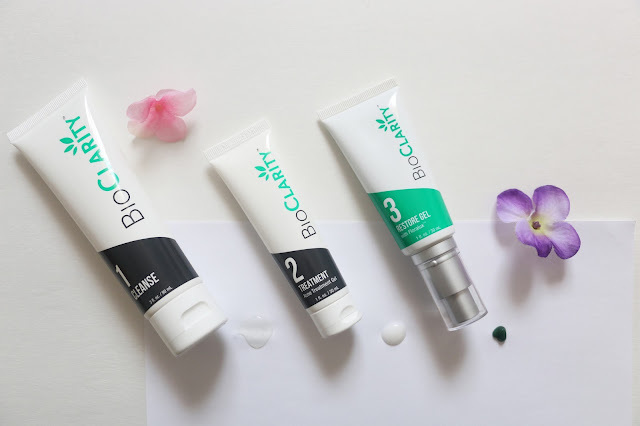 I had never heard of BioClarity and I definitely had never heard of Floralux. Happy to hear it works well for you! Sounds like a really cool product line. Thanks for sharing! I love learning about new skincare products. 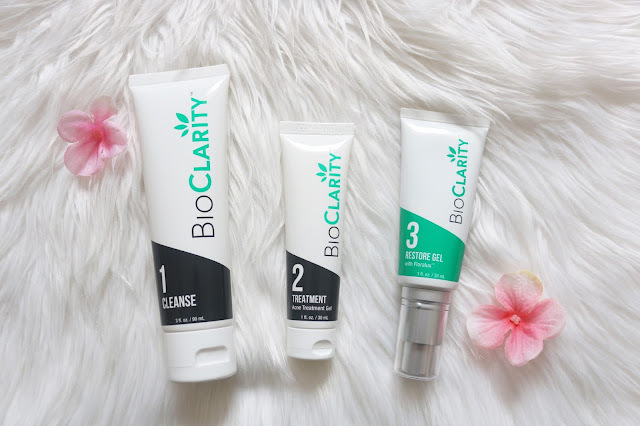 That BioClarity helped clear your skin and return it to a natural glow is so wonderful! I've never heard of this before and I have very sensitive skin, so I am interested in how this would work with my, I guess I'll have to test it out for myself! Thanks for the introduction to some new products! I would love to check this out. I've never heard of this brand before. Thanks for sharing! 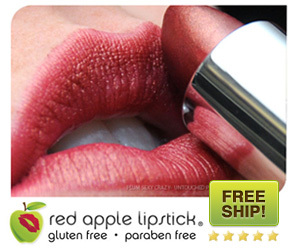 This is a brand I have never heard of and I am definitely interested in trying it! Seems to be amazing product. Surely gonna try this. The best advice that can be given to keep the face healthy is too wash the face every single night to keep it healthy and glowing. The best thing that can be done is use makeup remover cloths to take off your makeup.